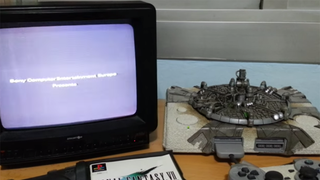 Well, that's one way to play the classic JRPG: With a miniature version of Final Fantasy VII's capital city on top of the console. 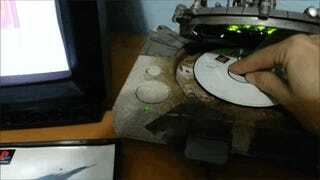 MakoMod's creation, which took 10 months to complete, might look rusty and dark, just like Midgar, but the modified PlayStation and reads discs perfectly. The creator shared a gallery on his Facebook and Twitter. It's pretty cool, you can even see some of the memorable locations like the Shinra Building, the Mako Reactors or the Sector 5 Church. And it's also up on Ebay, currently going for 232 Euros (or 260 bucks).